Geoff Keighley's award show has come a long way, but it's certainly got some room to grow. Last night's Game Awards show was a flurry of game announcements tantamount to what we'd expect from an E3 press conference, in addition to a celebration of 2018's games and the industry professionals who bring them to life. There was a lot to be excited about (hello Marvel Ultimate Alliance 3), but there are some finer nuances to how the show rolled out that deserve further examination. 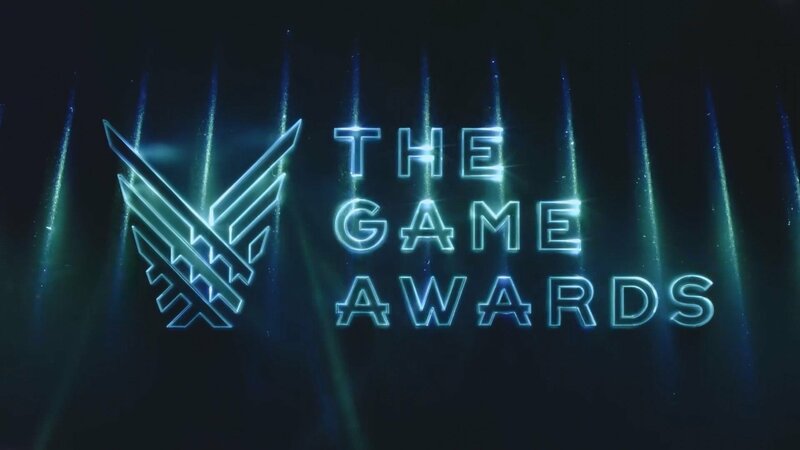 Geoff Keighley has been hosting this iteration of The Game Awards since 2014, after leaving Spike's Video Game Awards in 2013. Keighley's approach has become more focused on the developers and teasing out the humanity in the industry, without losing the fans in the process. 2018's Game Awards saw the industry coming together in a way that it hasn't before, at least not on a public stage. 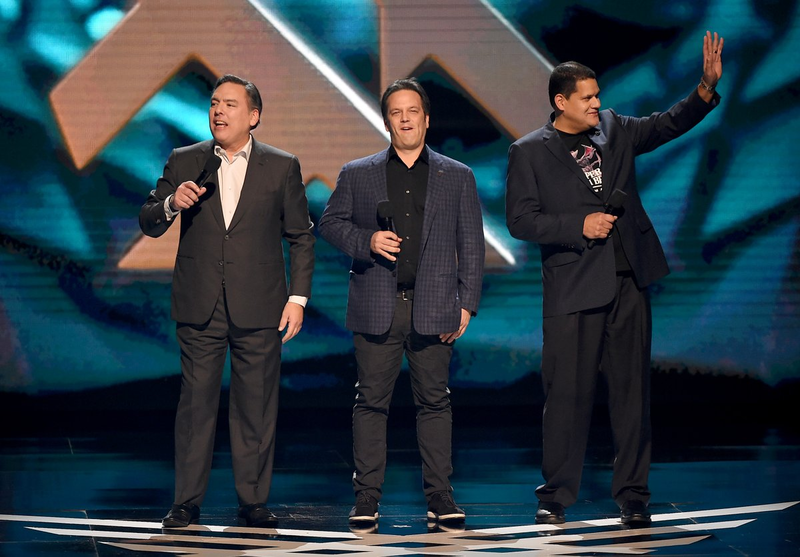 On center stage, for the first time ever, The Game Awards brought the three gaming "heads of state" together: Shawn Layden, head of Sony Interactive Entertainment, Phil Spencer, head of Xbox, and Reggie Fils-Aimé, head of Nintendo America. And there they stood right next to one another, a bit stilted in places, but Spencer's affable composure lent the unlikely trio a bit of charming levity. Their introduction set a tone for an evening that tried its very best to live up to the message that Spencer has been actively shepherding for the last four years: gaming is for everyone. The night wore on, implacable in its delivery and unstoppable in the sheer volume of exclusive reveals. But despite Keighley's best intentions, there's still room for improvement in the way the awards were delivered (and by whom). Contrary to what you're seeing tonight, gamers, gaming content creators, and people in the games industry are not 99% the same person. There is a community of MANY talented women, visible minorities and invisible minorities hard at work. Join us. We've talked about the importance of diversity and representation for game sales. More than that, instilling diversity in the game industry (and its community) starts at the beginning: our role models, who we have to look up when we're impressionable enough for it to matter the most. If someone had fired up The Game Awards stream last night, they might believe that it was homogenous. If said someone were unfamiliar with the wide variety of wonderful people that work in the game industry, they might believe that games aren't for them. And, of course, they'd be wrong. Games are for everyone, as we know. It's not to say that The Game Awards was without its touching moments. Last year, Steven Spohn, COO of AbleGamers, was nominated for the Trending Gamer Award and was unfortunately outed by streamer, Dr. Disrespect. It caused some heady debate about what a Trending Gamer should be, especially with the two gamers in question in stark contrast with one another. Thankfully, this year's Game Awards gave Spohn another chance to be nominated. This time, he was nominated in the Global Game Citizen category. And much to our collective happiness, Spohn was recognized for the incredible work that he does with AbleGamers, in addition to his overwhelming positivity in the community. Spohn's win heralds a positive change of The Game Awards and certainly picks up on Layden, Spencer, and Fils-Aimé's introduction to the ceremonies: celebrating positivity, dedication, and ferocious dedication to ensuring gaming is for everyone. That's certainly what Spohn (and AbleGamers) aims to do. As a magical, wonderful aside in the world of esports, SonicFox was awarded with the Best Esports Player award for 2018. As SonicFox, whose real name is Dominique McLean, took the stage, he did so in full costume as his "fursona" (as McLean is part of the furry community). McLean's acceptance speech was joyous and absolutely unabashed. 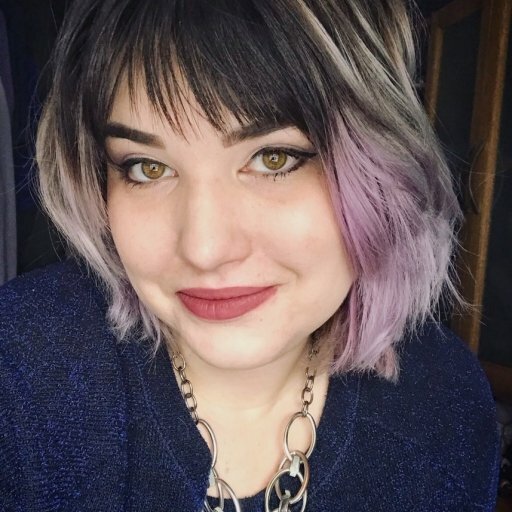 McLean is a four-time EVO champion and is an active member of the Fighting Game Community, which is a notoriously toxic place to hang out, especially if you stand out like McLean does. McLean's acceptance speech highlighted the ways in which he celebrates himself: gay, black, and a furry. It was one of the most earnest, irreverent acceptance speeches I've ever seen -- the kind of acceptance speech you could only see in video games (certainly not in film or television… or even during The Tony's). That level of comfort, which should absolutely be the norm, is so refreshing that he became an instant favorite, even among those of us who aren't part of the FGC or aren't particularly into esports. I feel like I just made some kind of change yesterday.. idk how to describe the feeling! Feel like I got a whole ton of new eyes on me good or bad, as well as made tons of people be comfortable with themselves. I’m interested to see what the future holds! A 20-years-old, McLean has a lot of game left in him and we can't wait to see what he does next. Best believe we'll be watching EVO 2019 to make sure we cheer him on. God of War won two awards last night, Best Game Direction and Game of the Year, and Barlog's speech (embedded below) was wonderfully heartfelt. He heaped praise on everyone but himself, in true Barlog fashion. It was a well-deserved win, especially when God of War was pitted against two other industry behemoths: Spider-Man and Red Dead Redemption 2. And, of course, there was an adorable appearance by Christopher Judge (Kratos) and Sunny Suljic (Atreus) that made the crowd (and Twitter) go absolutely wild. The Game Awards have started to feel like a good scotch -- it's going to take time for it to come of age and be as smooth as it should be in order to carry the enormous mosaic of achievements in the game industry. But if Keighley continues to improve on the flavor, there's a beautiful future ahead for The Game Awards, with the distinct possibility of it truly becoming the game industry's answer to the Oscars.